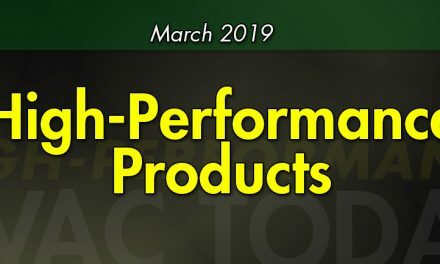 These instruments are for balancing hydronic heating and cooling systems. 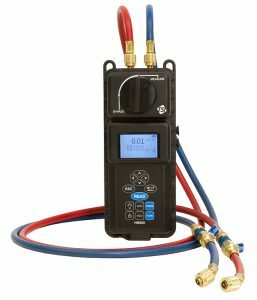 With it you can accurately and digitally measure high and low-side pressure simultaneously without needing to change hose connections or the instrument valve. So, the HM685 is intended for use by commercial balancers. Not only does it have a differential pressure range of ±300 psi, it also has a gauge pressure from -20 to 300 psi. You can now use this instrument to calculate brake power, heat flow, Cv factors and impeller sizing. It can store up to 1,000 data points in its memory, which can be downloaded to a personal computer. It includes USB software and a USB interface cable to manage recorded data on your PC. For more information or to order, go to ncilink.com/0218Alnor, or call 800-633-7058. Made for the National Comfort Institute by Dwyer, this gauge is one of the industry standards for measuring fan and blower pressures, filter resistance, and pressure drop across systems. That is why accurate manometers are one of the core instruments for a good diagnostic technician and this one has ±2% accuracy. The entire kit includes the gauge, a static pressure tip, rubber hose, and a 3/8-in. bullet-point drill bit and sheath. It comes with a supply of 100 3/8-in. 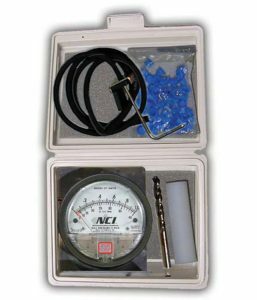 test port plugs, a carrying case, as well as an NCI guidebook on measuring static pressure. It has a large easy-to-read 4-in. dial and an included stability stand. 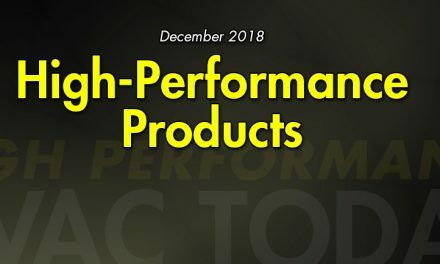 For more information or to order, go to ncilink.com/0218Dwyer, or call 800-633-7058.